This Sharps Compliance, Inc. Sharps Disposal By Mail System™ contains everything required to safely dispose of sharps medical waste and properly package the kit within the U.S. Postal Service regulations for mailing to a disposal site via the U.S. Mail. 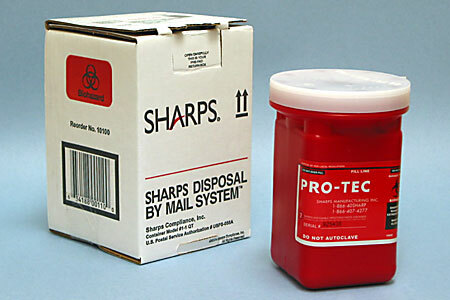 Return postage will be paid by Sharps Compliance, Inc.
Also available in a larger one gallon size.